We went to Revolution House to start up the blog again. 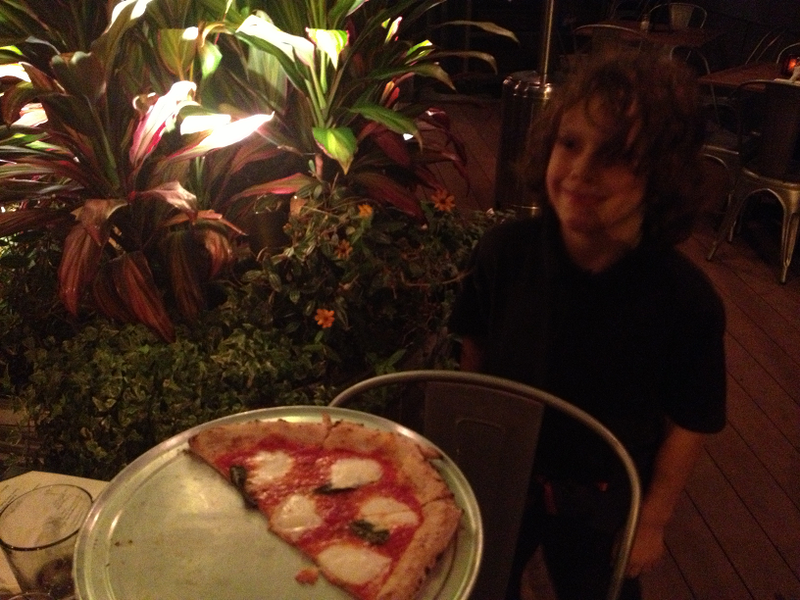 We chose Revolution House because it is our favorite pizza restaurant. I have written about the food before so today I am writing about the atmosphere of Revolution House, so lets get going. The side door to the kitchen was open so people can see Luka (the pizza chef) making food. They opened the doors to the street so you can watch them cook from the sidewalk as well. The deck roof is open too. You get a good look at Market Street from the balcony. When you order tater-tots you get mustard and ketchup but we did not get the ketchup. Pizza at Revolution House still is the best. First the dough is crunchy and then it is chewy. The waiter cleans up the table real quick. He also gave me a pen and paper to write notes; that’s nice. Good night see you next blog. I give it 4.0 slices. for atmosphere. Today we went to Revolution House. We reviewed Revolution House before but we came back to see if it was still the same. Today I ordered margherita pizza and Carl ordered half margherita and half plain. And my uncle ordered margherita pizza too. The inner crust is thin. The cheese is fresh mozzarella and it was good! The sauce is tomatoey because its real tomatos. 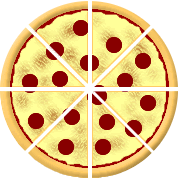 The crust is chewy. Carl adds that they don’t have root beer but they have birch beer. 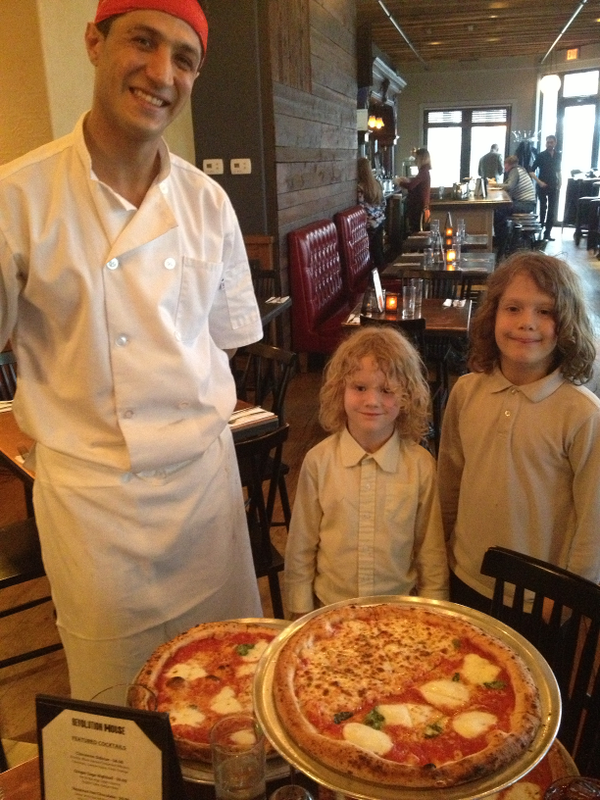 The chef, David, let us watch him make our pizza. He was nice. Carl added that chef Lucca was nice last time. I rate it a 5 but 4 is the highest. Uncles note: The staff is one of the friendliest around. And Carl added that The Yogurt Bar is good too. You should go there. Uncles note: we came during happy hour and the pizza was half price. I give this place 4 stars! When we got into the place, the guy let us see what was happening in the brick oven and let us watch the pizza being made. He told us why the oven was built that way so that not too much heat or air would get out so the pizza would get hot and cook better. 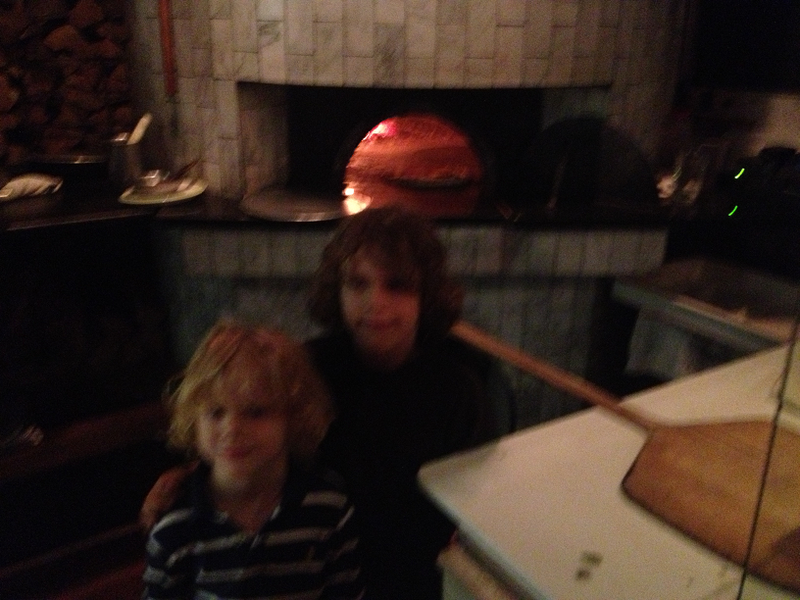 We were also allowed to take pictures next to the oven and while we were looking the whole pizza was cooked really fast. The pizza is really thin. Carl said the crust is chewy and I think its soft on the inside and crispy on the outside. The sauce is very runny and the cheese is in dots on the pizza. The cheese is mozzarella cheese and its really thick. We sat upstairs and it’s all windows except the roof and there’s a real tree up there and one of the leaves fell off. Editors note: we came during happy hour and the pizza was half price.